I absolutely love tea tree and what it does to the skin, it smells and feels so refreshing! Today is my day off, I've made myself a mug of green tea, put on the face mask that's featured in this post today and I've got my blogging fingers at the ready! If you're in the UK you might see this brand around in the majority of drugstores and supermarkets. They're a really affordable brand with great facial pay offs! (especially if you're on a budget!) 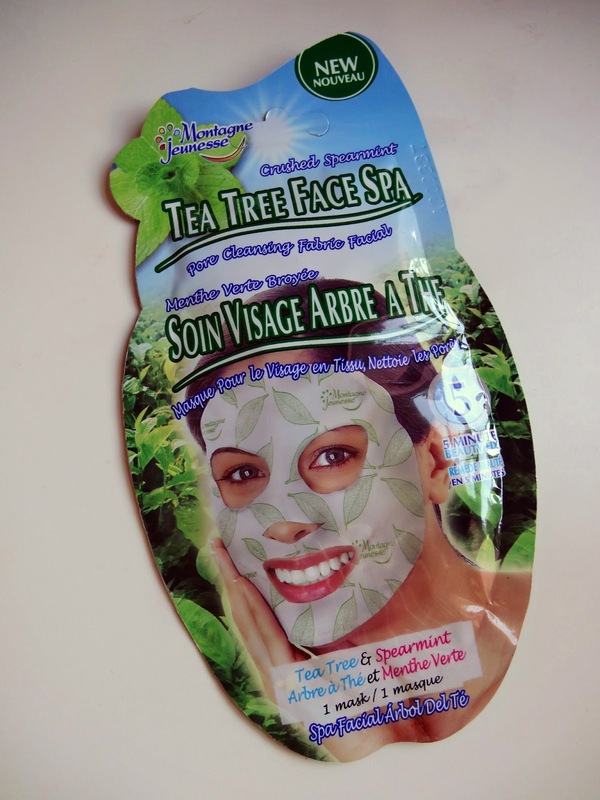 This brand make face masks of all varieties - peel off, mud, and fabrics - in numerous fruity, sweet, refreshing smells. These masks are all around the £1 mark, usually depending on where you purchase them from. Although they do feature in 3 for 2's and promotions similar to that. I enjoy using fabric facial cloths because they really aren't messy - no drips, or messy application/removal! The fabric is perfectly soaked in the facial liquid, with appropriate cut outs for your eyes, nose and mouth. You align it with your features and (I like to do this at least!) run your finger tips over the sheet to smooth out and make sure your skin is all covered underneath. Leave on for five minutes or so, remove the cloth, massage your skin with your fingers then wash off the product! I love using face masks at least a few times a week. 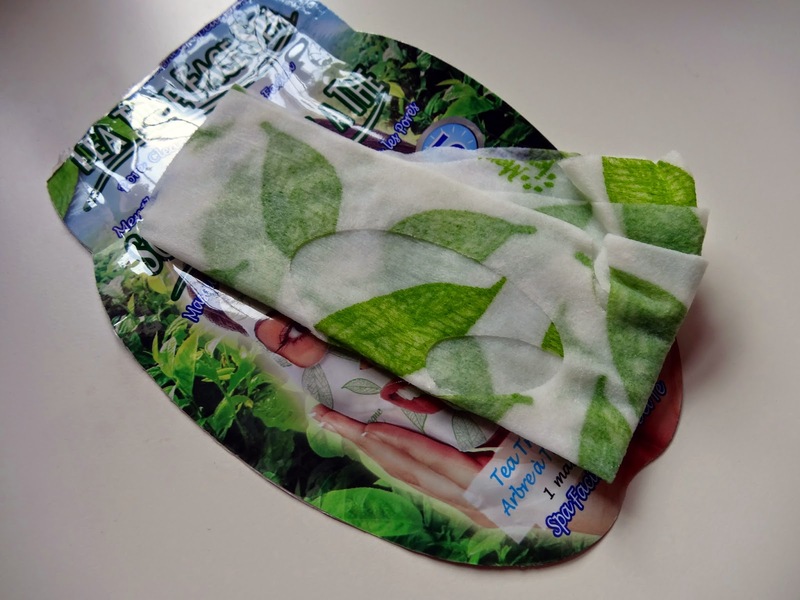 These fabric ones, I would happily use once a week around my other face masks. They are so cool and refreshing - it's like a minty kick for my skin to wake up with! I'd love to know if you use any other branded fabric masks?